I absolutely adore family lifestyle sessions. To me, they will always be so much more authentic than the stiff and posed studio option. I really enjoy capturing families in their element - playing, laughing, loving on each other, and just being genuinely happy. I met up with Shay, Donte, and Milah at one of my favorite spots, the beach at Guana Reserve. 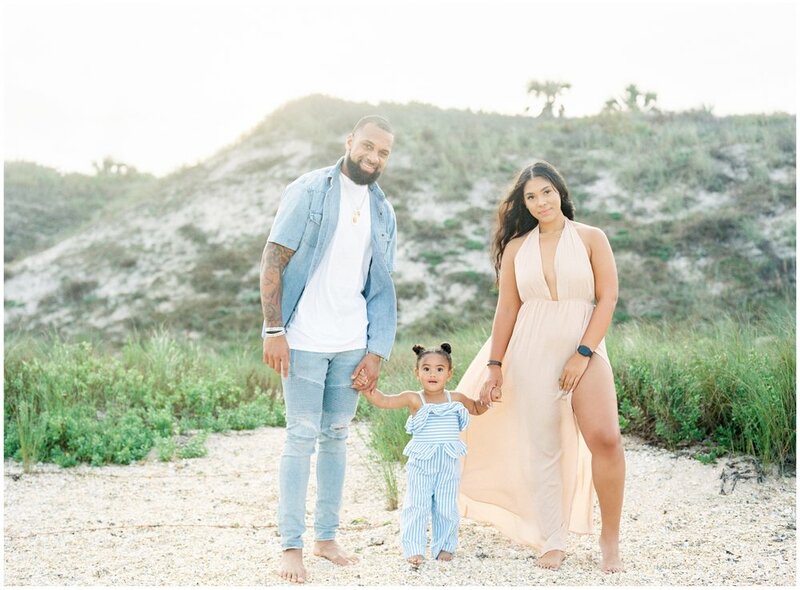 Shay and Donte are such a beautiful couple and their 18 month old daughter, Milah, is so adorable and full of personality. She reminded me alot of my son, Noah, when he was younger because she loved the ocean and had absolutely no fear of it. At one point she jumped a little too far into the water and tripped. Her daddy was quick to scoop her out and while most small children would have probably been scared, Milah just had a huge smile on her face. Noah was the same way… beach babies really are the best! Milah also was not a fan of her parents showing each other any affection that didn’t include her and it was hilarious! I love so many of the images from our session and it was super hard to narrow them down for the blog. 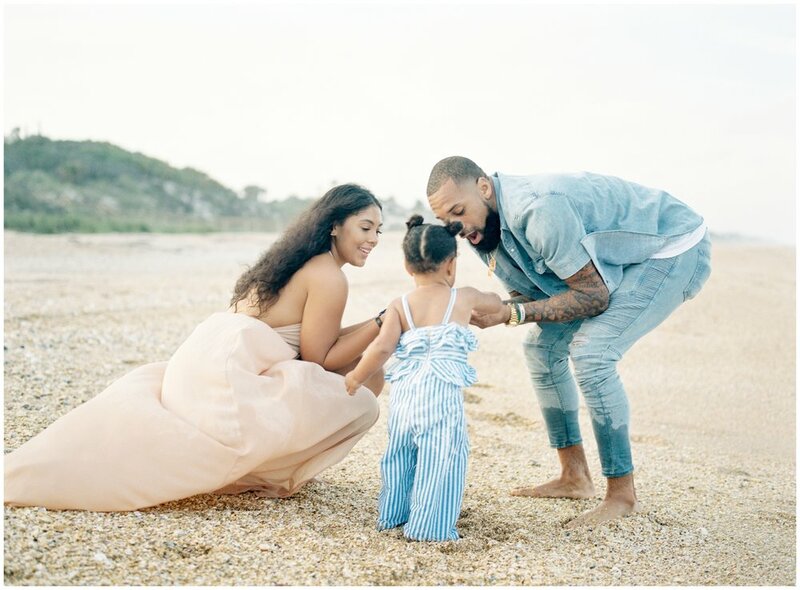 This family is beautiful and I love how their happiness and the love that they have for each other shines through in the images.